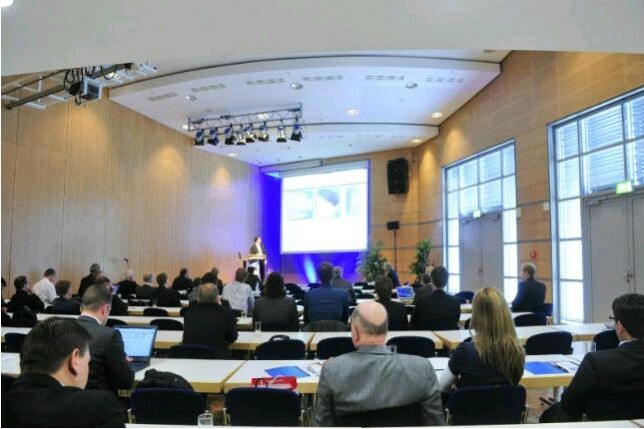 Erfurt, April 2014: In Erfurt for the 11th time, on 14 and 15 May 2014, Rapid.Tech will be the meeting place for newcomers and experts, researchers and users to get to know and discuss the latest results, trends and opportunities of additive manufacturing processes. The trade fair and user conference dovetail neatly to enable an exceptionally intense and comprehensive exchange of knowledge, covering both theory and practice. This year’s “User conference - new technologies” will focus on the implementation of the latest developments in manufacturing processes, materials and software in real applications and business models in different branches. Additive Manufacturing (AM) is one of the key technologies for the implementation of global mega trends such as individualisation, Industry 4.0 and sustainability. So it is no wonder that that the possibilities for additive manufacturing processes are continually being expanded with new technologies and materials. “The development of additive manufacturing is continuing at a fantastic pace and is constantly conquering new fields of application in quite diverse branches. Thanks to AM, branches that previously had nothing to do with each other are now merging. Anyone who does not keep his eye on the AM ball is quickly out of the game,” explained Antonius Koster, Managing Director of Antonius Koster GmbH, who is responsible for the programme for this year’s “User conference” on 14 and 15 May. This will be clearly illustrated by the first of four keynote speakers, Dr Olaf Rehme, whose talk “The Future of 3D Printing at Siemens” will focus on the rapid development of additive manufacturing processes in recent years. Dr Rehme will examine the huge potential of AM for industry and will address the challenges for the necessary further development of these innovative technologies, as well as the need for standardisation to enable the integration of AM into industrial manufacturing. To investigate the design limitations of additive manufacturing processes, a newly developed test structure for production-ready component design will be presented. Whether it is large quantities or the miniaturisation of components, additive manufacturing processes today still typically hit limits. Also being presented is 3D screen printing - a technology that enables additive mass production of miniaturised parts. The possibilities for additive manufacture of large-scale, heterogeneous architectural components are described in a further talk. E-colouring is also opening up new horizons in AM. With this innovative and environmentally friendly technology, synthetic laser sintered parts can be coloured in almost any shade after manufacture and still retain their geometric, mechanical and thermal properties. Another talk will inform visitors of the new 3D printing process for aluminium oxide and silicon carbide. This makes it possible to produce ceramic moulds, for instance for liquid gas mixers. The agenda features user reports, including the application of generatively manufactured components to validate vehicle cockpit parts at BMW. Further talks will address open source hardware, new printing technologies and software developments, amongst other topics. From 15–17 May 2014, Messe Erfurt will also be hosting the second German Personal Fabrication Convention, FabCon 3.D. Numerous exhibitors will be showcasing current developments and products from the 3D printing sector for entrepreneurs, designers, hobbyists and any other interested parties. This convention, in combination with Rapid.Tech's “Industrial Day” (15 May 2014) will give fans and industry experts a chance to engage in direct dialogue and provide insights into the latest developments for the consumer market in the up-and-coming technology of 3D printing. The complete programme for the “User conference - new technologies” as well as further information about Rapid.Tech and FabCon 3.D can be found at www.rapidtech.de and at www.fabcon-germany.com.